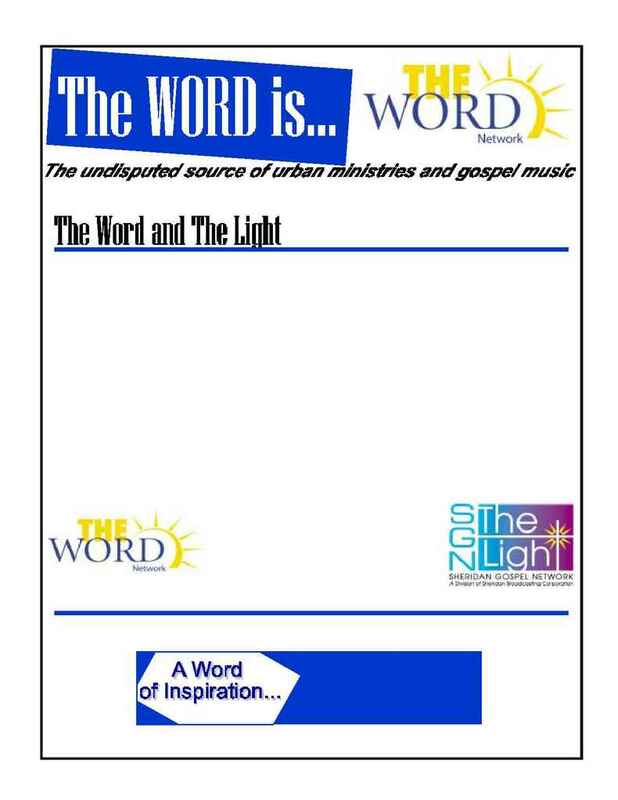 The Word Network has formed a promotional alliance with Sheridan Gospel Network, The Light radio. with specialized programming elements inspire, uplift and encourage listeners of all ages. neighborhood with concerts, sweepstakes, prizes and attention. S GN The Light is available in your neck of the woods.